We LOVE this place. I could write a book on this place and would title it, Heaven on Earth. The architecture of the villa and the interior design is worth marveling for days. 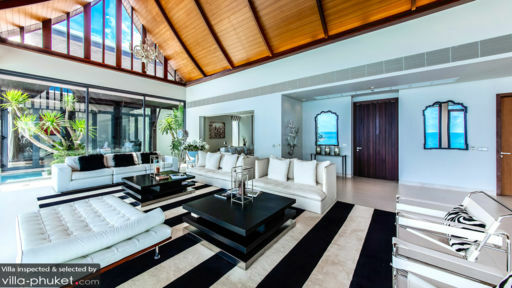 The seductive view of the ocean and the beach can be seen in every room in the villa. Trust me, you are not going to use the TVs. I also love the infinity pool. The design of the pool is just so inviting. I don’t like to swim, but I went swimming every day in that pool. I like to eat out during my vacation. However, the in-house chef cooks an incredible Thai cuisine. The flavor, the presentation, the freshness of the ingredients….I am getting hungry reminiscing all the tasty meals I experienced. 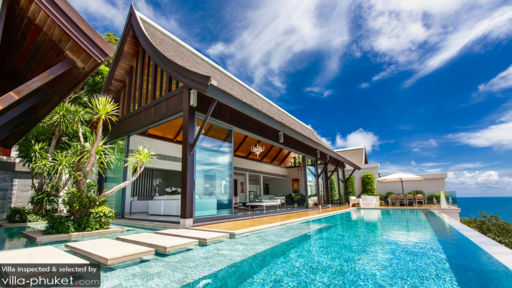 The villa is luxurious, modern, spacious, and most importantly, comfortable. It’s a place where you can just chillax and be light-years away from all your burdens. The nearby Naithon Beach is within walking distant. The beach is not crowded with tourists or drunken college kids. It’s mostly families and couples. There is also a strip of shops, restaurants, bars and spas by the beach. There is also a great massage spot on that strip. All is all, this is just a fabulous place that I would recommend to anyone. The week we spent at this place was simply amazing. The property is located in a private setting All the rooms are spacious and the decor and furnishings are done tastefully. 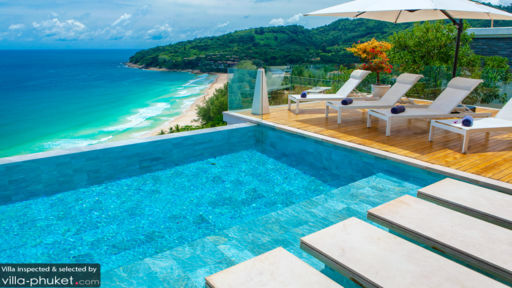 The infinity pool and the views are simply breathtaking. We would love to return for another stay in the near future.